accommodation. Travel during the months of February and April, when the NxaiPan’s rainy season attracts the zebra mega herd as well as various plains game(and the predators who accompany them) to the now filled waterholes and lushgrazing. Enjoy a brilliant combination of water and land activities in the Delta that range from game drives to mokoro excursions and fishing. banks of a seasonal waterway, overlooking the celebrated Moremi Game Reserve. with the Moremi Game Reserve. beautiful &Beyond Nxabega Trails Camp. Here you will experience an adventure-filled mix of water and land activities from game drives to mokoro and catch-and-release fishing. Please note that the waterbased activities are seasonal. board your flight homeward from Maun International Airport.Transfer by light aircraft from Xigera to Maun Airport for your onward arrangements. 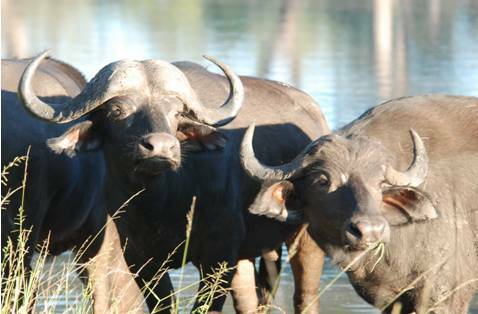 Overview: Summer in Botswana is a special time of year. The vibrant floral displays and dramatic skylines provide a stunning backdrop to the explosion of new life and as such predators take full advantage of the abundance of inexperienced younger prey.Birding is also outstanding with several species displaying splendid breeding plumage and many intra-African and Palearctic migratory species present. You will experience a nostalgic camping/lodge safari that recreates the sense of adventure reminiscent of the times of the great African explorers. The tour price includes the following services. Lite Aircraft flights on a seat rate basis and road transfers as indicated on itinerary. Items of a personal nature, such as laundry at Gomoti Tented Camp, telephone calls, room service, premium alcoholic beverages, personal purchases, optional extra activities, etc. Gratuities to tour guides, drivers and restaurant staff for services rendered. Compulsory Travelers insurance and cancellation protection. Age Limits – Minimum of 12 years. Recent medical certificate required for guests over 75. For parties with children under 12 years, a private, tailor-made safari is suggested and quoted on request. This quotation is subject to the availability of all services at the time of making a reservation. Travel insurance coverage for injury, illness or loss of effects while on tour is NOT included, is highly recommended for travel and compulsory for many lodges and adventure safaris in Southern and Eastern Africa. Registration: A 25% deposit of the total land price, per person is required. The remainder of the cost is due 75 days prior to departure date. baggage and personal effects and baggage delay. For premium costs and coverage descriptions please see our website http://www.safariline.net, home page under “Destinations” lower right side of home page – click on the blue button “Relax & Buy Trip Insurance. Or, contact us to provide a quotation.